After sitting out the team’s first 8 games of the season with an undisclosed injury, including their sweep of Central Michigan earlier in the day on Friday, Sun started the team’s win over New Mexico. 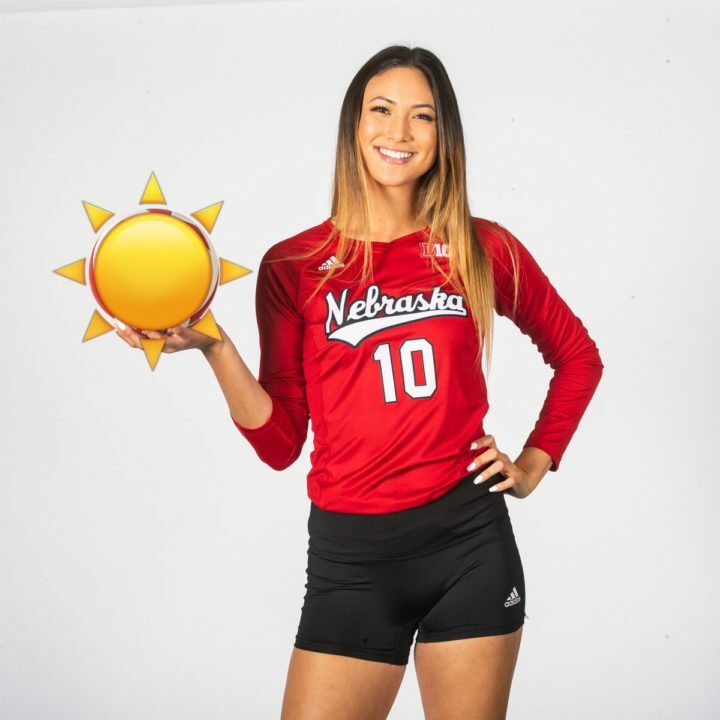 In short order, she showed why Nebraska fans were so anxious for her debut: she had 13 kills, which matched Mikaela Foecke for the team lead, and hit .346 (4 errors, 26 attacks). She also chipped in a service ace, 5 digs, and 2 blocks. The outside hitter who transferred in from Texas this summer has been the big hope to fill an important role for the Huskers, who return just 2 starters from their national championship-winning team last season. She had the 2nd-most swings of anybody on the team (26, behind Foecke’s 28), and while she maybe faded a little in the 4th set (3 kills, 1 ace, 1 block error, 1 reception error, 1 attack error), she proved that she’s ready to join the Nebraska rotation with just Saturday’s match against Missouri State between Nebraska and the start of the Big Ten Conference slate. Nebraska head coach John Cook has been slow-playing Sun all season. While she was a full-participant in warmups in each of the last 2 weeks, Cook didn’t want to let her on the court until she showed that she could make it through a full week of practice without issues. 6’1″ Freshman Capri Davis had been taking most of the time at the 2nd outside hitter position for Nebraska, including with 3 kills on 10 swings in the early match against Central Michigan. She had a career-high 18 kills against Creighton last week, which Nebraska won 3-2. Davis didn’t see the court against New Mexico.